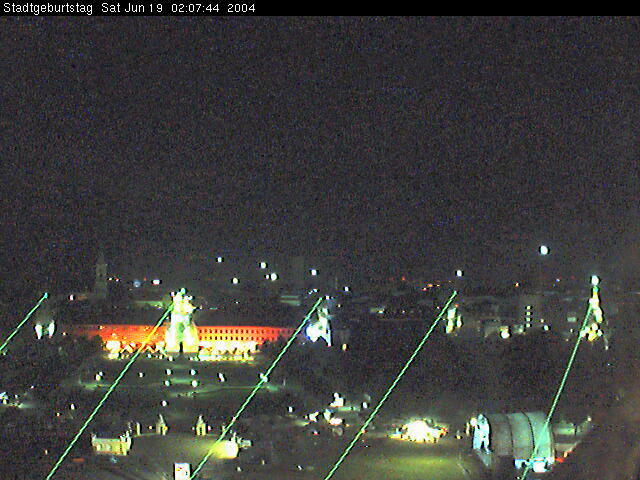 Thanks to our james bond like charm we managed to talk the security into letting us join the laser technican on the roof of karlsruhe palace. They installed 11 laseremitters on the roof to visualise the 11 roads that emerge from the palace (just take a look at this satellite photo and you know what that means). 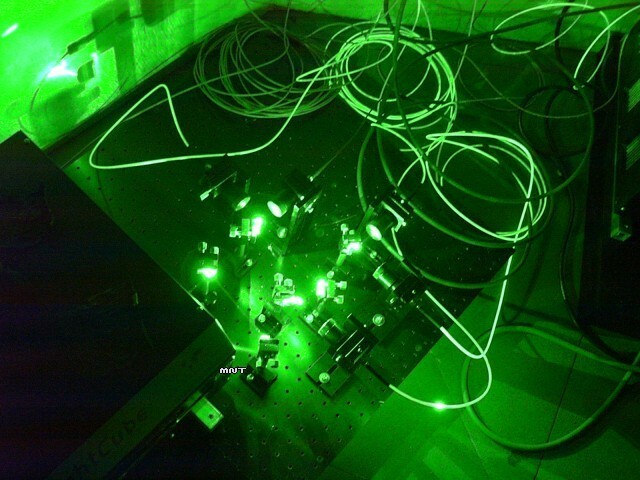 The right one of two 10 watts laser including beam dividers and glass fibre connectors. One of these babies costs 65.000 Euros. 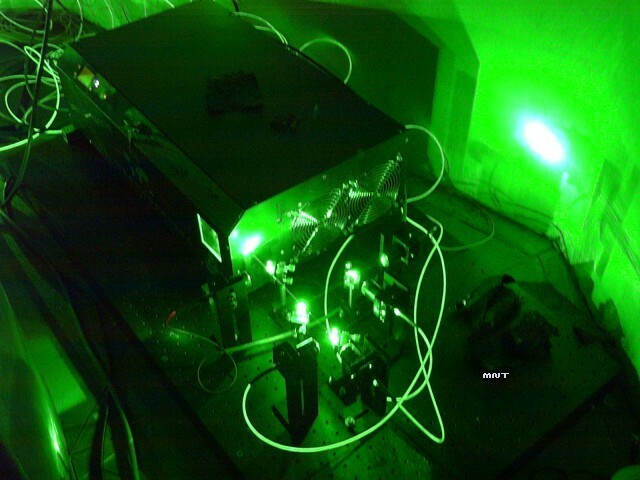 The right 10 Watts laser. 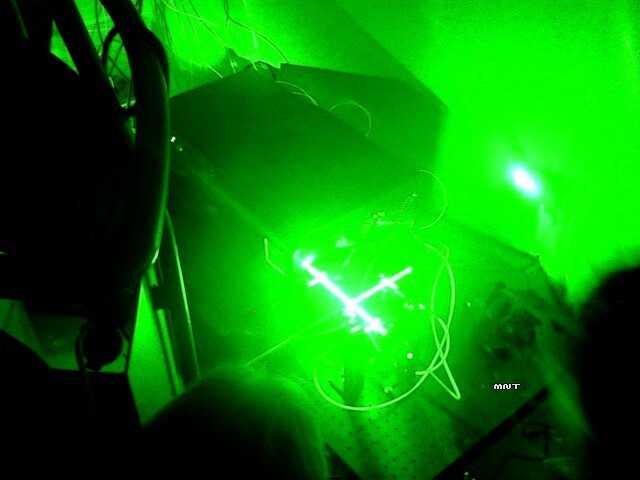 Yes, its THAT bright if you blow smoke into the beam. 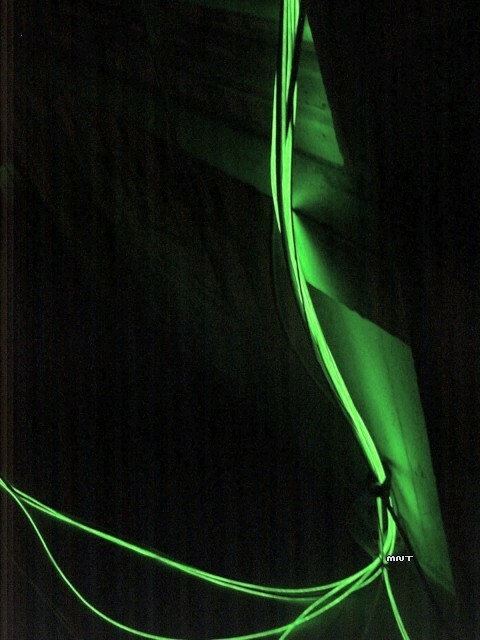 ...where they lead to several optics to target the beam to several rooftops. 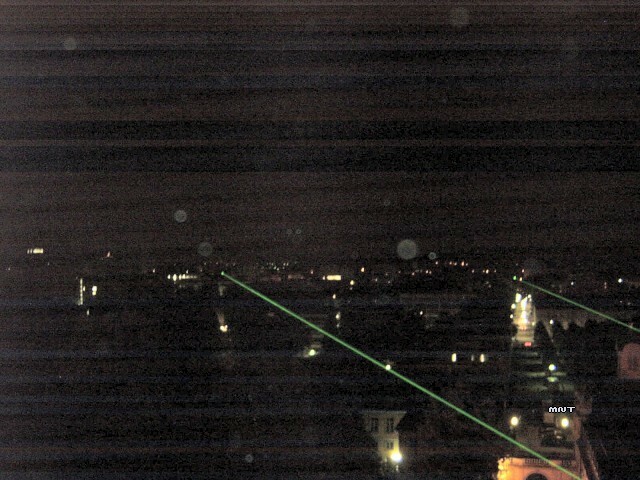 A own 2.5 watts laser targets two disco mirrorballs that where installed in 10 meters height on the ettlinger tor. The optics. 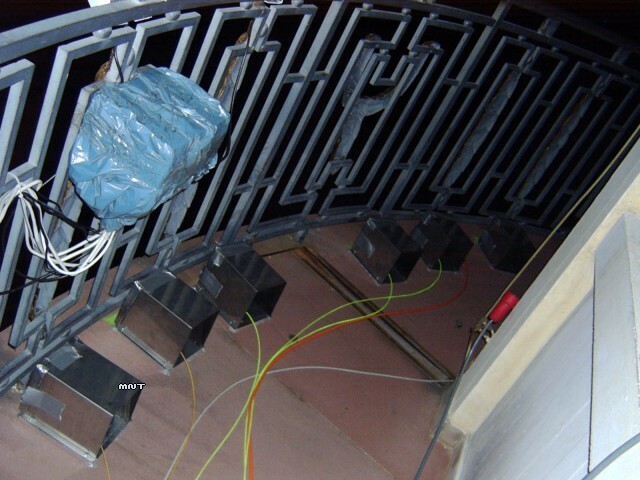 The box on the upper left is a wlan antenna. 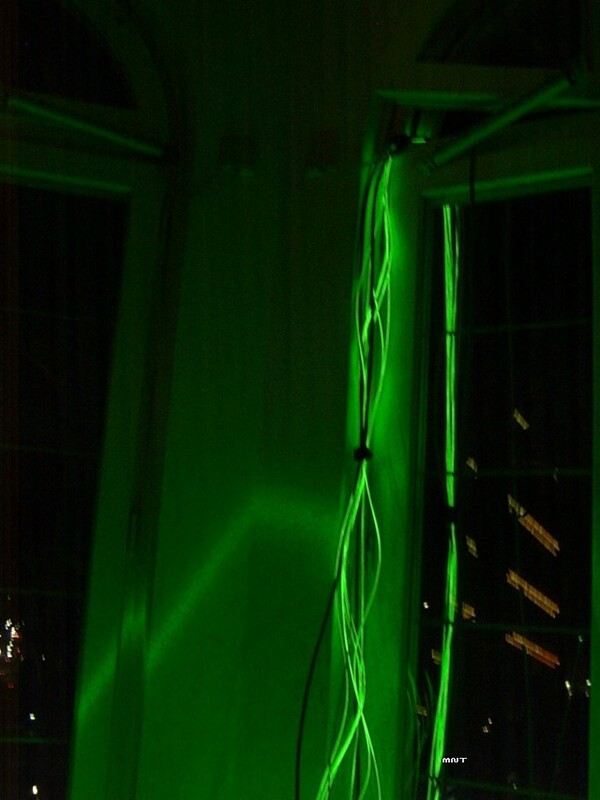 The installation seen from a webcam installed in the tower. If you move over the picture it shows the same perspective with daylight.